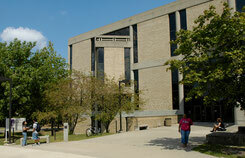 Previously this information was available on the McDonough County Historical Society website. Now the work begun by Gil Belles will be maintained and expanded by the McDonough County Genealogical Society. many of them are no longer in use and are difficult to locate. Here is information from the McDonough County Historical Society to assist in locating cemeteries in the county. Previously, the McDonough County Historical Society located cemeteries in the county and placed a marker at each one, so the cemeteries would not be lost and so that those who came before us will not be forgotten. A marker has been placed at 95 cemeteries in the county. 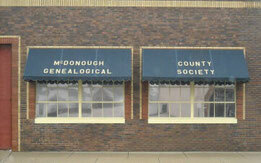 the McDonough County Historical Society, Macomb, Illinois. of the McDonough County Historical Society. Advisory Committee, Dodsworth-Piper-Wallen Funeral Home in Macomb, Table Grove State Bank,MidAmerica National Bank, the McDonough County Highway Department, the McDonough County Genealogical Society and the McDonough County Historical Society. as well as the story of the cemetery in a press release written when the sign was installed. Complete the Contact Us! form if you are interested in a copy of the ebook.